Collectively the HistoryWorks Directors offer more than 50 years’ professional experience in the Treaty of Waitangi claims process. Please get in touch if you’d like a full CV or more background information about our work. David is a Pākehā New Zealander of Lowland Scottish descent. He grew up in Nelson and graduated with an honours degree in history from Victoria University. In 2007 he also completed an LLB law degree at the same university. 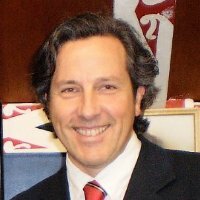 David has been involved with Treaty of Waitangi issues since 1989 when he took up a position as Crown Law Office historian. In 1994, David was employed by the Crown Forestry Rental Trust (CFRT) as an historian, and subsequently as Research Director, a position he held until mid-1999. As Research Director, David advised the Trust’s clients, developed research plans and managed CFRT research staff and contract historians. David has written and presented to the Tribunal a large number of research reports for many claimant groups. He is co-author of The Beating Heart: A Political and Socio-Economic History of Te Arawa (Huia Publishers, 2008). Vincent is a Pākehā New Zealander of Irish and Scottish Highland descent. He has a BA (Hons) in History (1st Class) from the University of Canterbury and completed his PhD thesis at Victoria University of Wellington in 2004. 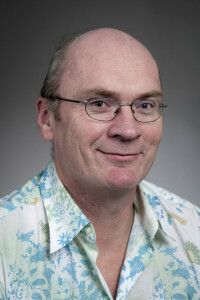 Vincent has published widely in the area of Crown and Māori historical relationships, including his 1998 book, Agents of Autonomy: Māori Committees in the Nineteenth Century (Huia Publishers), and (with David Armstrong) The Beating Heart: A Political and Socio-Economic History of Te Arawa (Huia Publishers, 2008), The Treaty of Waitangi Companion: Māori and Pākehā from Tasman to Today (Auckland University Press, 2010, co-edited with Bruce Stirling and Wally Penetito), The Meeting Place: Māori and Pākehā Encounters, 1642-1840 (Auckland University Press, 2012), a finalist in the NZ Post Book Awards for 2013, Beyond the Imperial Frontier: The Contest for Colonial New Zealand (Bridget Williams Books, 2014) Haerenga: Early Māori Journeys Across the Globe (Bridget Williams Books, 2015) and The Great War for New Zealand: Waikato, 1800-2000 (Bridget Williams Books, 2016). 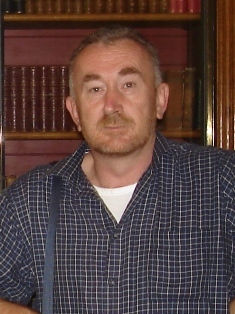 He has also contributed to a wide range of local and international scholarly journals and other publications, including the New Zealand Journal of History, the Journal of the Polynesian Society, the Journal of New Zealand Studies, Labour History Review, Ethnohistory, the Dictionary of New Zealand Biography and a number of other monographs and book chapters.Vincent was the 2014 J D Stout Fellow at Victoria University of Wellington, where he worked on a history of the Waikato War. He has worked as a professional historian focused mainly on Treaty of Waitangi claims research since 1993 and in that time has prepared and presented many research reports on behalf of iwi around the country. Bruce is a Pākehā New Zealander of Scottish descent who grew up in Rarotonga and Wellington. He has a degree in history from Victoria University. Bruce has been involved with Treaty issues since 1989, initially as a Crown Law Office historian. In 1993 Bruce moved to the Crown Forestry Rental Trust, becoming the Trust’s Research Manager in mid-1999. Bruce has worked with many Māori claimant groups throughout the country assisting them with a wide range of research issues whilst also directing the Trust’s research effort. During this time he has also written and presented to the Waitangi Tribunal numerous research reports.Bruce was co-editor (with Vincent O’Malley and Wally Penetito) of The Treaty of Waitangi Companion: Māori and Pākehā from Tasman to Today (Auckland University Press, 2010). To find out more about our Directors, or to learn about other personnel who may be available through HistoryWorks Ltd, please contact us.